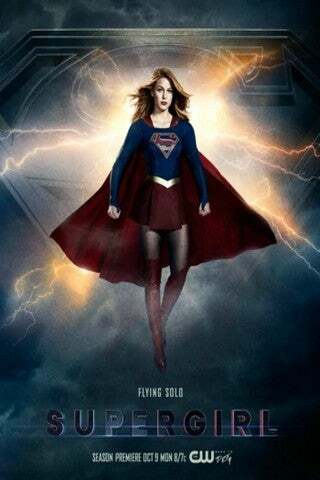 Supergirl Sings in "Crisis on Earth-X Part 1"
The CW's Girl of Steel visited some old friends in tonight's episode, and she brought her singing voice along with her. Spoilers for the first hour of "Crisis on Earth-X" below! Tonight's episode saw many of the Arrowverse's heroes gathering together in honor of the wedding of Barry Allen/The Flash (Grant Gustin) and Iris West (Candice Patton). 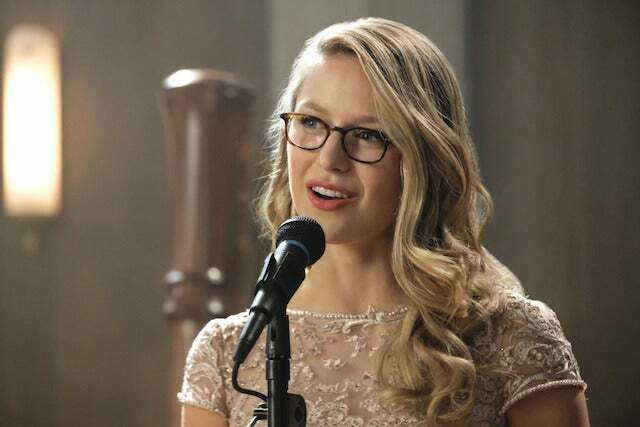 When Iris walked down the aisle, she was accompanied not by Mendelssohn's "Wedding March", but by Kara Danvers/Supergirl (Melissa Benoist) singing "Running Home to You". As Arrowverse fans will remember, this song first debuted in "Duet", last year's Supergirl and The Flash musical crossover episode. While most of the episode saw Barry and Kara trapped in a sort of musical dream world, "Running Home to You" debuted once Barry was back to reality. In the episode's closing scene, Barry began to sing the song, as he officially asked Iris to marry him. This isn't the only callback to the Arrowverse's past that Kara brings into the episode. Kara and company provided fans with an adorable nod to last year's "Invasion!" crossover, as well as the latest Lobo Easter egg to enter the Arrowverse. Still, the song serves as a nice reflection of Barry and Iris' journey... even if their wedding doesn't go exactly as they'd hoped. "Crisis on Earth-X" is a four-hour event that will air on November 27th and 28th beginning at 8 p.m. and running for two hours each day; Supergirl (8 p.m. Monday), The Flash (8 p.m. Tuesday) and Legends of Tomorrow (9 p.m. Tuesday) will remain in their normal time slots but Arrow will move from Thursday to a 9 p.m. Monday placement for the week.